Taking a vacation soon? Or perhaps you will need to attend an international conference, which will be crucial for your venture. 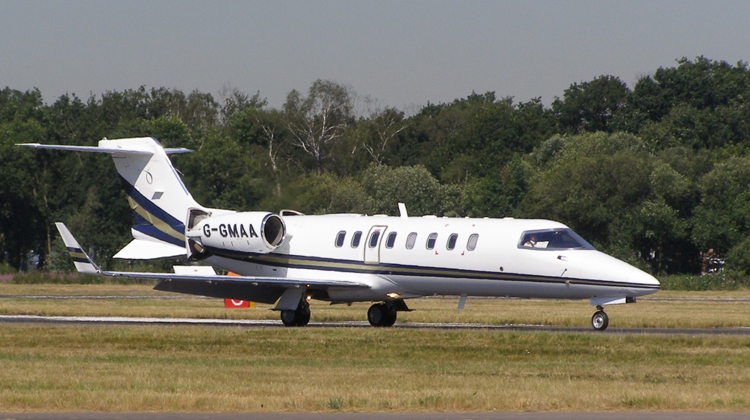 Then it would be pleasant to go on board the Learjet 45 / 45XR. This plane is configured to have 8 passengers aboard and it can fly at a 3,700 kilometer range. With its fast speed and sturdy rides, it’s no wonder why the plane is a top choice among long range travelers. Its seats also have the standard double club layout hence passengers will stay comfortable within 3 to 4 hours’ length of flights. It also has a built in lavatory to ensure utmost comfort throughout the trip. To make the most of your upcoming flight, it would be advisable for you to inquire about the plane’s interior specifications. It’s a must for your seat to have sufficient if not a longer legroom. You may also ask about the plane’s in-flight entertainment so you can make the most of your comfortable ride. When flying aboard the Learjet 45 / 45XR, you’ll most likely notice its spaciousness and comforting interiors. Each seat has been comfortably configured, plus it has a sufficient legroom to ensure you’ll have enough space to stretch out your legs. The 8-seat configuration of your Learjet 45 / 45XR may have varying in-flight features, depending on how your charter service had the aircraft customized. The aircraft also has the sufficient amount of baggage space, so you can bring the items you’ll need to have an enjoyable trip. If you’re looking for medium jet which can provide you with utmost comfort, this plane can exactly meet your needs. Did you know the Learjet 45 / 45XR can reach as far as 3,704 kilometers? This means if you’re coming from Ontario, you can get to San Jose, Costa Rica or even San Francisco, USA while on board this plane. It certainly has the engine power and knot capacity you require, to reach long range destinations. This medium jet is also powered by two AlliedSignal TFE73120 turbo fan engines. Your range will also be indirectly proportional with the plane’s potential passengers. You’ll most likely be able to travel farther, if you will be having 4 people aboard the aircraft. Hence it’s advisable for you to inquire about your plane’s allowable number of passengers, given your destination. You may also consider adjusting your charter plane should you need more people to ride with you on a farther, intended location. 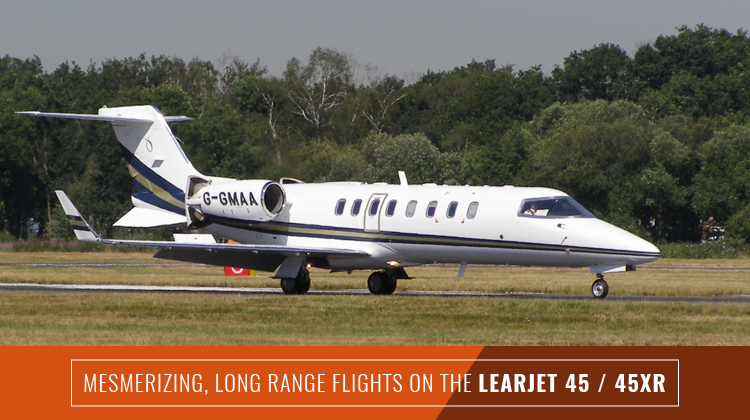 Manufactured by Bombardier Aerospace, the Learjet 45 / 45XR had its first flight during the mid90s. This midsized corporate jet also went through various upgrades and modifications to fit the changing needs of its applications. It roughly had about 60 stages of design and component improvements in the last two decades. Today, hundreds of its units are being flown around the world for long range destinations.